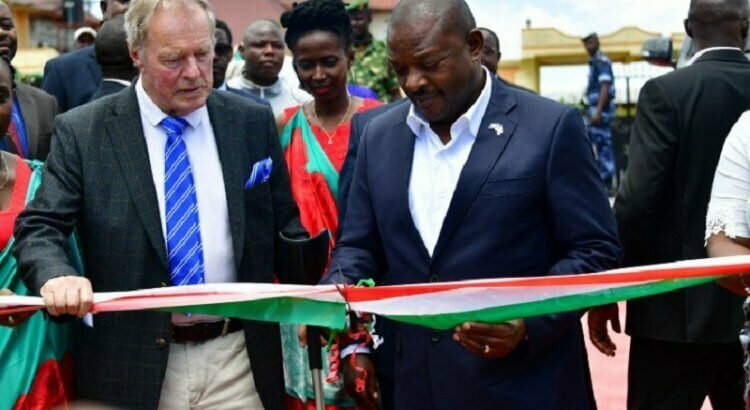 BUJUMBURA November 21st (ABP) – Head of State Pierre Nkurunziza inaugurated, in Kajaga, Gatumba zone, Mutimbuzi Commune, Bujumbura province (west) on Monday November 19th, the Yucca Beach Hotel as part of the continuation of inaugurating works marking the 56th anniversary of the independence of Burundi. The hotel belongs to Swedish Reder Wallenmber. That Swedish owner and businessman said he has been honored by the President of the Republic who accepted to come to inaugurate that hotel, reporting that it is an eloquent sign showing that he supports foreign private investors. 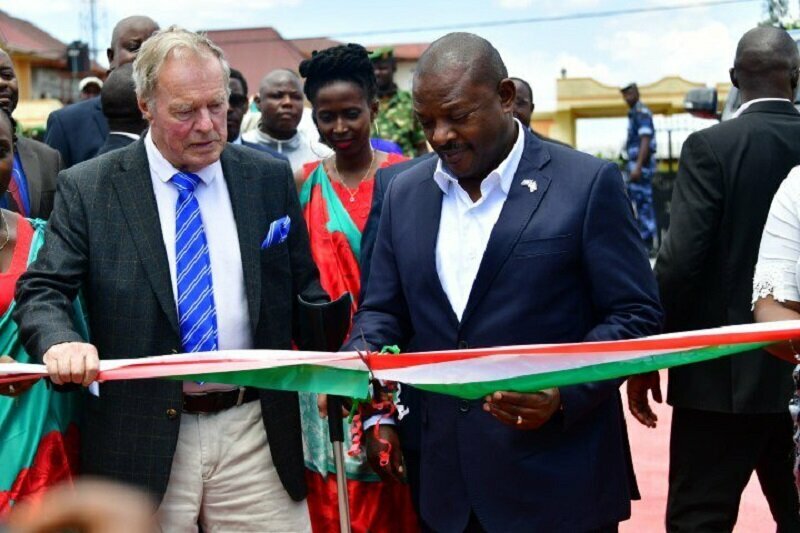 He promised that he will encourage other investors (Swedish and Americans) to come to invest in Burundi.After cutting the Symbolic ribbon, the Head of State visited the compounds of the hotel (hosting rooms, conference hall, swimming pool, volleyball courts (volley beach), and signed in the guestbook of that hotel. Note that the Yucca Beach manager handed over a Sahiwal-breed cow to the President of the Republic.